We have recently launched our online booking system. Select a check-in and check-out date, then search for our available cabins and lodge rooms. 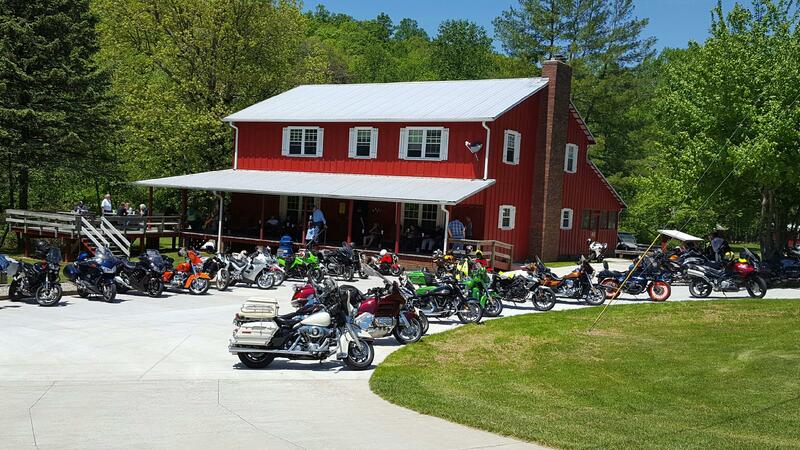 Email us at: bookings@twowheelsofsuches.com for more information on Two Wheels of Suches and the surrounding area. *2-Night minimum required on weekends for lodge and cabins. Planning to Camp at Twos? No reservations required for camping because guests can camp just about anywhere they like on our grounds, capacity is flexible. The campground is open for guests between March and November. 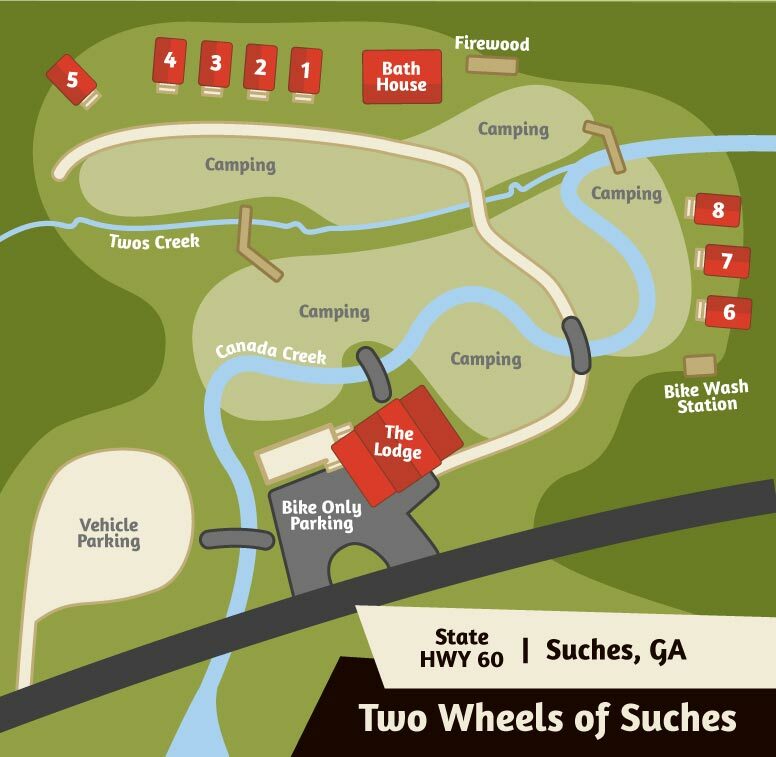 Click here to learn more about camping at Two Wheels of Suches. If you have any questions, please contact us by calling (706) 973-1671. To review our policies, please click here. Use this map to help you chose the best lodging option and location for you. Cabin numbers coordinate with our reservation system.